Congratulations to newlyweds Danielle and Paul Hamlet who won a local wedding competition for Bristol & Somerset Wedding Of The Year! They spent more than 2 years planning their Victorian wedding. With the help of family and friends they created an amazing day full of custom touches and design. Bridesmaids wore custom designed outfits and carried handmade brooch and button bouquets. 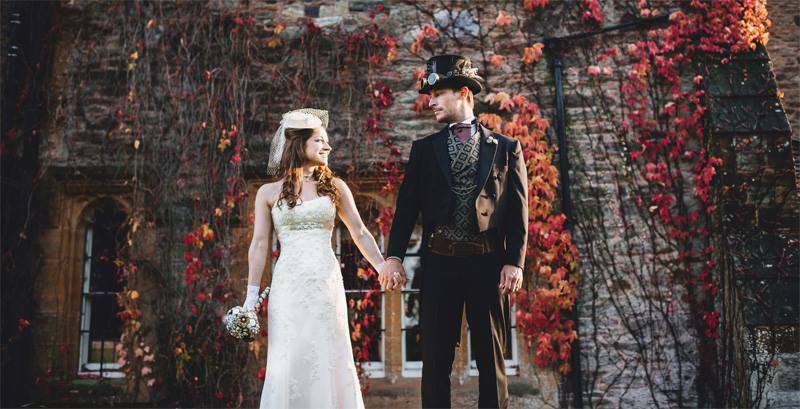 The groom sported Victorian clothing from our store. We think everyone looked fabulous and wish them a long and happy life together. If you have pictures and a story about your latest Victorian or Steampunk event, please share it with us.